No Tricks In Those Treats! It’s almost Halloween, which means the candy and noshing season has arrived. Trying to stick to your lifestyle choice is now extra hard, as a lot of treats out there have long ingredient lists and things in them we can’t even pronounce. 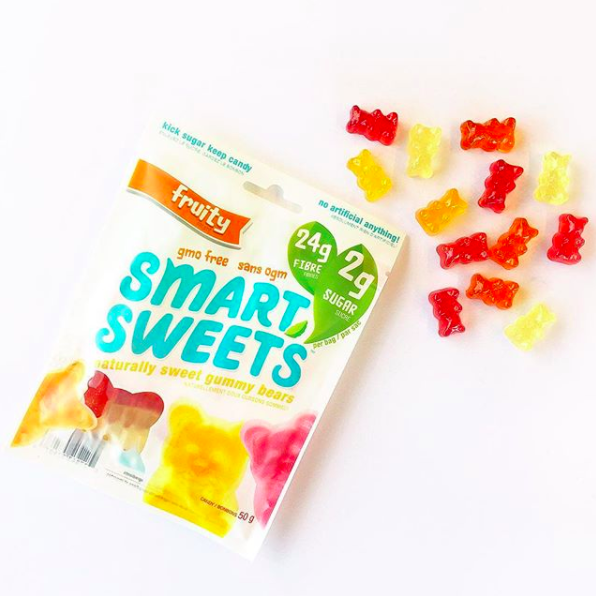 The frontrunner for our community, SmartSweets, mentioned by 60% of all participating Influencers – is one of our faves as well! 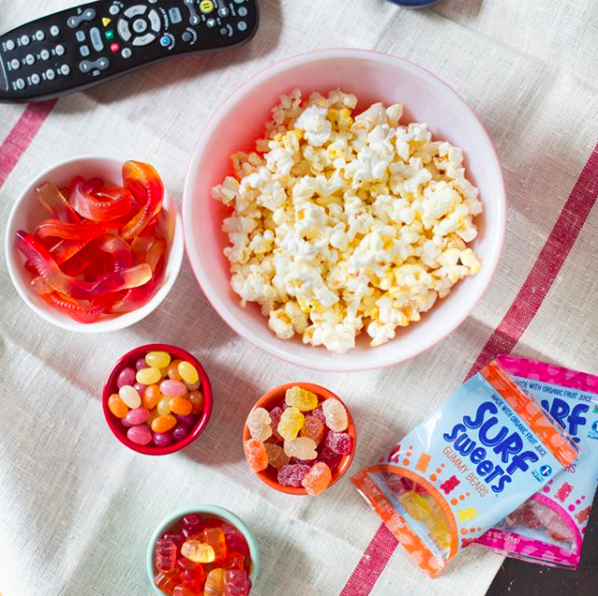 Low sugar, better-for-you candy, and you won’t be able to notice the difference! Find out where to buy it here. 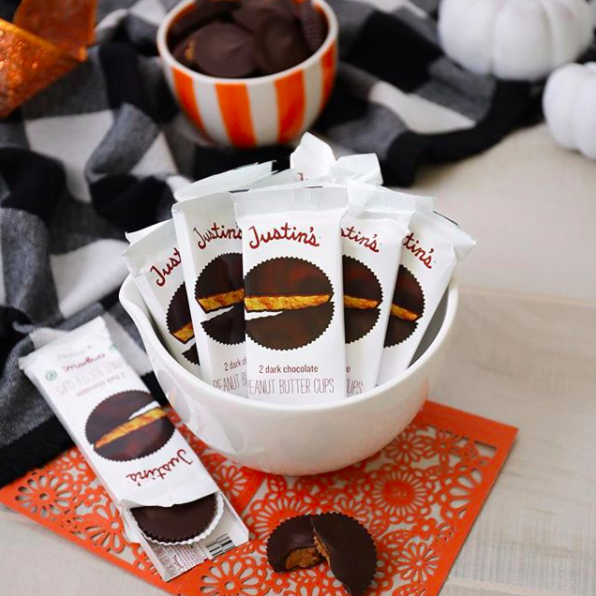 Organic and fairtrade, Justin’s chocolate and peanut butter cups are a treat for everyone. To hand out or to hoard? 😉 As first suggested by our Influencer Rita N. Find out where to buy it here! 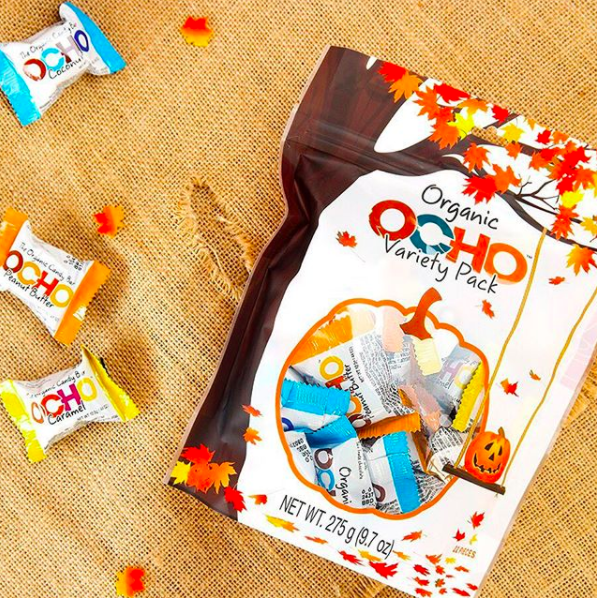 Our Influencer Rebekah D. told us about these Ocho Candy bars. They’re organic and come in cute variety packs, perfect to hand out! Find out where to buy here! 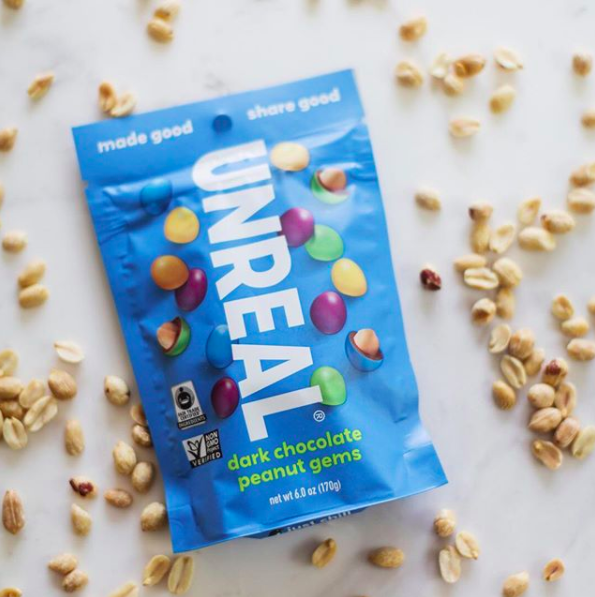 UnReal has tons of different candy, from chocolate covered nuts to peanut/almond butter cups. Here you can find treats that fit your lifestyle, from vegan to gluten-free, and fairtrade, they have what your heart desires. Find out where to buy them here! Gluten-free AND vegan, these cute candy treats are exactly what we want all day every day! Thanks, Rebekah D. for telling us about them 🙂 Here’s where you can buy them! 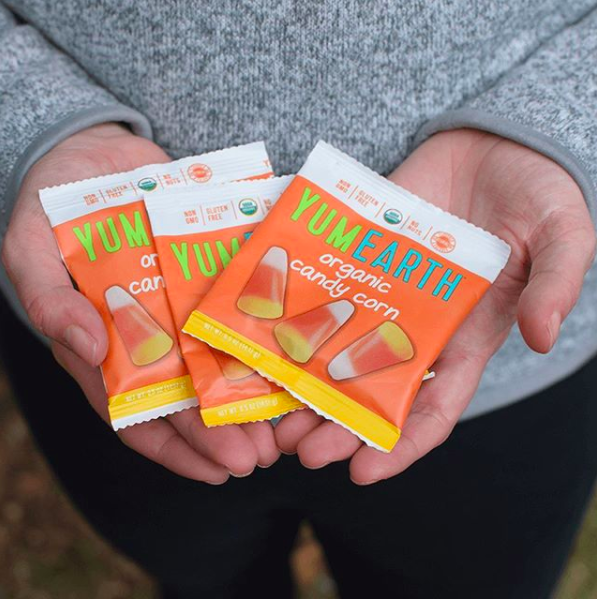 Organically sweetened and allergy-friendly, these candies also have a vegan-friendly variety. Sour candy, anyone? Click here to find out where to buy it! Some organic Halloween treats for next year! Gave out little boxed raisins this year!